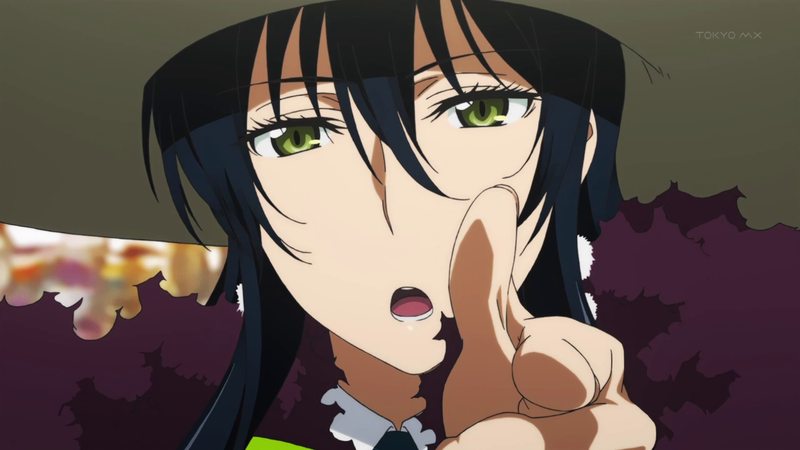 This week on Witch Craft Works, Ayaka continues her ascent up my list of favorite anime characters as I have yet to see any actual flaw in her character. Sure, we learn that she’s destructive, over-protective, and has a bit of a one-track mind, but I think that all adds to her charm. I’m also impressed by her ability to torture the Tower Witches so nonchalantly, all while keeping her flames from burning down the school. At the end of the episode, we get to meet Ayaka’s mom Kazane who happens to be the head of the school and a Witch herself. 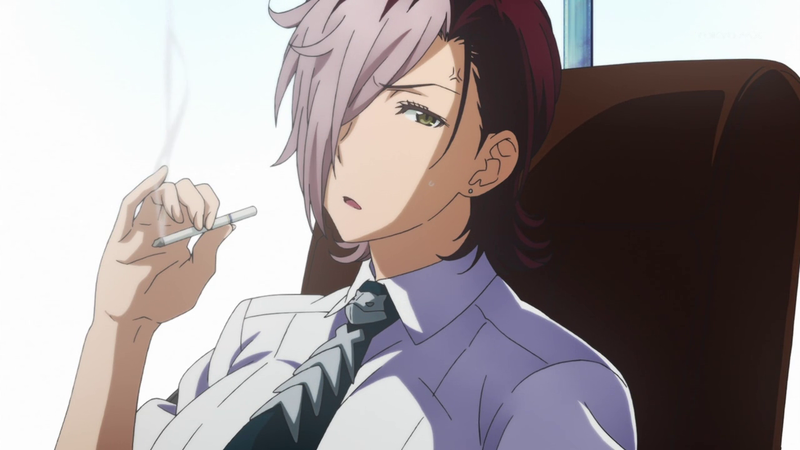 I thought maybe she kept Ayaka from burning down the school, but then I remembered that Ayaka blew a freaking hole in the ceiling so never mind. I’m a little disappointed that we haven’t seen more of the different powers that Team Rocket the Tower Witches have to offer. Judging from this episode, Mei Menowa appears to be the strongest of the Ivory Quintet. After all, she’s able to inflict an injury on the mighty Ayaka. I’m guessing that Ayaka used some sort of spell to switch herself with Honoka, which explains why his body didn’t get burnt and why Ayaka sustained the bite wound. Mei’s wolf familiar (or maybe it’s just a reanimated dead pelt) is pretty neat, but I wanna know what that big book is for. At least we learn a bit of what the Tower Witches are after, which is apparently the white stuff in Honoka’s body and is to be used to cause chaos at the expense of humans. Sounds about right. 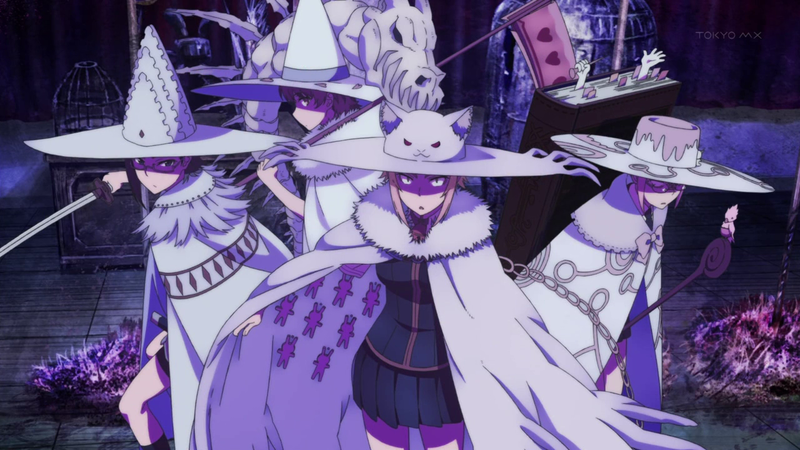 To oppose them, the Workshop witches have taken the stance to defend humans. These include Ayaka and her mother. After a series of run-ins with Tower Witches, Honoka decides to become Ayaka’s apprentice in hopes of becoming less like dead weight. I’m loving the series so far. I was afraid that the appeal would burn out (haha) after the first episode, but thankfully my anxiety was misplaced. The comedy is subtle and happens naturally due to the innate personalities of the characters. Honoka is the token helpless hero, but fits the role in such a comical and self-aware manner that it doesn’t feel cliche at all. Pair him with Ayaka, the cool domineering, yet spacey witch, and we’ve got a winning combination of characters, not to mention the colorful cast of witchfolk. Also, can we take a moment to discuss how utterly badass Ayaka is during her fight with Ai, Mai, and Mii? I don’t think you want to know how many times I watched the part where she does the finger gun and says”bang.” Other great parts include walking in to see Ayaka holding a rifle at the Tower witches, playing I Spy with Honoka’s sister, and Honoka using his head when shopping with Ayaka.